How would a typical bohemian spend $100 in one day? In this particular scenario the bohemian is a woman. • MORNING: Breakfast with dad at a local diner because she knows he's paying and that means she only needs to leave the tip = $5. Spent $31, $69 untouched, and a day full of awesomeness. If you're reading this right now then you're probably wondering how bohemians can afford all of their beautiful home decor, travels and awesome clothing without racking up thousands in debt. There are many ways to live like a queen (or king) without spending a fortune by getting creative and thinking outside the box. Below are a few ways you can live large and be as hedonistic as you want to be without going completely broke. Enjoy! ▲Spend less on fashion. WAY less. First thing's first. Don't follow fashion trends. I mean, seriously what's the fun in looking like everyone else? And even more, why would you want to spend money to have something that everyone one else has? Think of the high cost of trendy designer clothes as a fee for being unoriginal. Don't let the fashion industry tell you how to dress. Trends don't last and as soon as they catch on, it's time to move on to the next one. If you really want to look good, feel good and be unique, then dress the way YOU want to dress and shop smart. The less you spend on one particular item, the more clothes you can buy! Would you rather buy one dress for $100 or 10 dresses for $10? Ok, for a bohemian it'd be more like 5 dresses for $10 and use the other $50 to score some shoes and jewelry too. Where do bohemians get their clothes and accessories anyway? Bohemians shop clearance racks and thrift shop a lot. They also sew their own clothes, revamp their old duds and customize freebies and dirt cheap scores to better fit their style. This includes dyeing garments , removing or adding sleeves, bead-work, adding fringe and more! How does QBM do it? A lot of my clothes are hand-me-downs from my aunt and mom but I mostly get my clothes from Ross Dress for Less because they have a great plus size section! I don't think I've ever bought anything over $15 there. Also, one of the perks of being a blogger is free stuff! Awesome independent companies send me clothing to try and review so hooray for freebies! 90% of my jewelry came from eBay, usually right from China or India to cut out the fees of the middleman. My children's clothes are also mostly hand-me-downs and the rest mostly come from the online consignment shop, Swap.com. This doesn't mean get rid of all of your fancy gadgets and live off-grid in a log cabin. I mean stop trying to keep up with all the latest new phones, televisions, video game consoles and other fancy computer devices. As long as what you have still works, then there's no need to keep up with costly upgrades and expensive new models. As soon as you buy the latest gadget, a newer version is going to be available and trying to keep up with all of that is an absolute waste of money because you'll never be on top of the game no matter how hard you try. Instead, reduce your need for high-tech stuff by embracing "unplugged" forms of entertainment like books , arts and crafts and oldfashioned get-togethers with good friends. Also, if you're like me and need computers and other goodies for your business, then buy your devices used or refurbished online, from friends and family and even pawn shops. Our family computer is a widescreen PC that also serves as our television in the evenings. My children don't have their own tablets or fancy touchscreen thingies. Instead, they watch educational YouTube channels from an old laptop that was given to me by a friend for free. The screen's frame busted completely after my daughter slammed it shut so it is being held together with duct tape. Why not just go buy another laptop? Because this one still works just fine! My husband and I use very affordable prepaid phones , and we don't own a video game console. We both acknowledge that video games can be very addictive and can easily become a very expensive and time consuming pastime so we just opt for free game apps on our phones whenever we get the "gaming" itch. So, you're looking for someone who can make your son a medieval costume by next week for under $100? You want a mandala painted in your baby's nursery but all you have is $50? Need a non-creepy clown for a birthday party? You're looking for a free wedding photographer? Say no more, fam. I know a guy. Sometimes in order to get what you want for a killer low price, it's not about what you know... it's WHO you know. Building an extensive network of talented and creative people can benefit you greatly! Not only will you build a fun, eclectic group of friends, but those friends know people who know more people and so on and so on. That's called networking , my friends! Because bohemians like to be around like-minded people, they're often surrounded by other artists, crafters, musicians , writers, and more! They'll trade services or they'll simply just hook each other up with "friend prices" or freebies because that's just what friends do! I attend a lot of free local festivals and events. I make sure to chat with the vendors and swap business cards. I accept friend requests from people I don't know on Facebook if we have several friends in common. And like in the scenario above, I also love attending art receptions so I can rub elbows with the artsy high society in town in hopes that someday if I need a really big favor (like a private plane? ), all I have to do is pick up the phone. Hey, a gal can dream can't she?? This is me and my son at a food festival. See my left hand? Yup. Those are business cards. So that's it for this part. 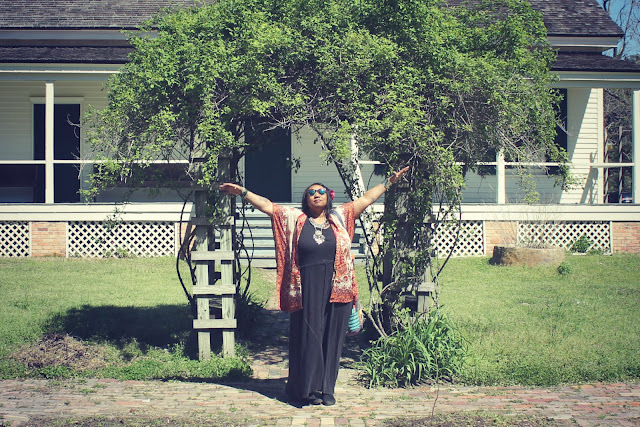 How To Live Frugally in Luxury Like A Bohemian: Part TWO! the other day I read an article about a couple living in San Francisco with 1 child that were barely making ends meet. Oh, they have an income of $200,000! My husband and I have lived very good on about a third of that, granted we live in a cheaper part of the country, but do you really need to spend $8,000 on a vacation? Save your money for the future and don't waste it on $$$ useless crap. Pumpkin Spice Latte, anyone? Can't wait for the next installment! Love it! Thank you for the tips! I try hard to live frugally but this gave me more ideas. I too can't wait for the next installment. I love your site! I love this. So glad I found your site! This is really cool. Living like a Bohemia is kind of interesting thing to do. Thanks for sharing it. I actually loved it.